How much live arena rock can you handle? Heart? Journey? Both on the same stage? Nancy and Ann Wilson -- a.k.a. Heart -- bring it at Nassau Coliseum (with Journey) tonight. TWOFER: Is Journey really Journey now that vocal deity Steve Perry is being played by Filipino YouTube discovery Arnel Pineda? Debatable. 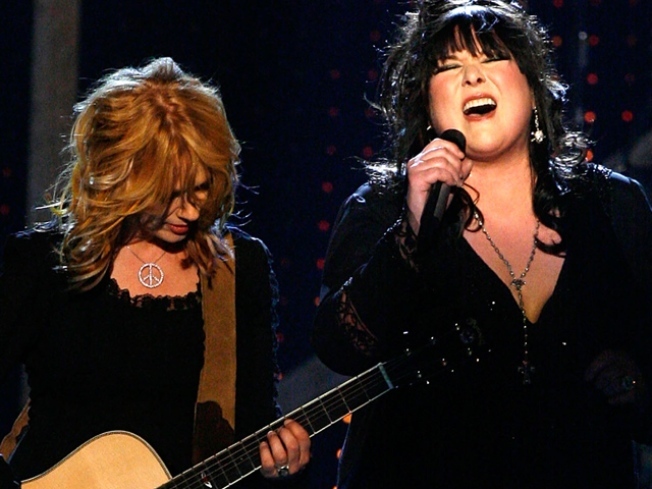 Heart, on the other hand, remains as epically awesome as ever (Nancy and Ann Wilson, we bow to you). The double feature rocks Nassau Coliseum at 7PM. OP-ED: Nightly through September 7, the Metropolitan Opera screens classics out-of-doors on Lincoln Plaza as part of the Live in HD Festival. Tonight: Russian baritone Dmitri Hvorostovsky, tenor Ramón Vargas and soprano Renée Fleming perform Tchaikovsky’s “Eugene Onegin,” about a guy whose hubris bites him in the tuches. 7:45PM. ’BANGERS BALL: Burlesque and metal, together at last? Hotbed-of-vaudeville the Slipper Room hosts some of the biggest players on the NYC burly Q scene (Amber Ray, Albert Cadabra), eschewing their usual retro tuneage for some hair-thrashing sounds, as part of the monthly Metal Mondays series. 11PM.